Empire makes venting easy with their horizontal fireplace direct vent kit. You can use this kit with walls that are up to 13 and 3/4 inches thick. 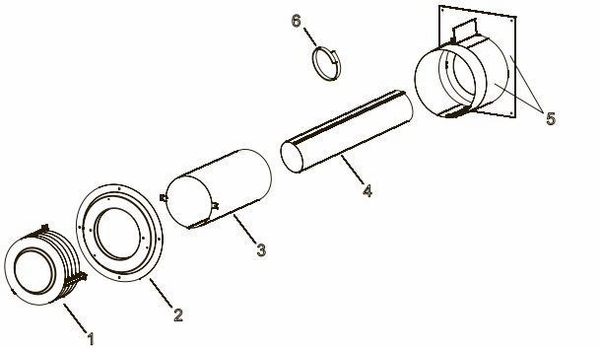 The includes a small round horizontal termination cap, a wall thimble and thimble extension, a 4 inch flue tube, an outside mounting plate, and a 6 and 5/8 inch inlet air tube. With all the parts you need for an efficient venting system, this fireplace vent kit is well worth the investment. Everything needed (except for hi-temp silicon or fire stop) for direct venting out back of fireplace...directions straight forward and easy.